She was born in Charleston, South Carolina on February 1st 1906. Her well to do parents bred racehorses and then moved to New York and got into the jewelry business. Her educated and artistic parents wanted to pass their love of the arts on to their daughter. Helen attended and was a graduate of the New York Professional Childrens School on West 48th Street (where a classmate was Lillian Ill Cry Tomorrow Roth). She began her Broadway career in Barbara in 1917 while still a juvenile. Her roles on stage came very quickly and grew in size and stature until in a short time she was starring opposite John Barrymore. Some of her stage successes include Richard III, The Constant Nymph, The Marriage Bed, Faust, Pride and Prejudice, Daddy Long Legs, These Two, Penrod, Macbeth, etc. By the time the late 1920s rolled around she was wildly popular in New York -- which made for excellent timing. Sound had just revolutionized the film industry and studio executives were looking for new talent to go with the transformed medium. Suddenly stage actors were much in demand, especially when they were young and beautiful. Helen Chandlers early film roles were rather incidental. 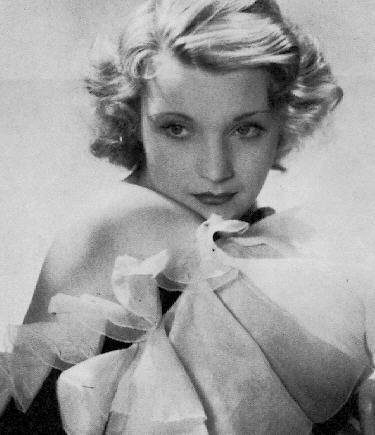 Then in 1930 she made Outward Bound  she played Ann in a film version of her stage success opposite Leslie Howard, Douglas Fairbanks Jr., and Beryl Mercer. Its the story of a group of passengers on an ocean liner who gradually come to realize they are all dead (gee, guess The Sixth Sense concept wasnt entirely original). Chandlers ethereal quality worked wonderfully in the film and she was suddenly a hot property. She almost didnt make Dracula. If it had been up to her she certainly wouldnt have taken the role of Mina Seward. She was much more interested in playing the lead in the studios all star rendering of Alice in Wonderland (which eventually went to Charlotte Henry). Ms. Chandler saw Dracula as merely another contract assignment. As the fates would have it she eventually did star as Mina, the ultimate threatened virgin, in the classic vampire film opposite Bela Lugosi, David Manners, and Dwight Frye. With that single role Helen Chandler gained film immortality  especially for horror fans. Sadly, Chandlers career would be over in just a few years. She made a few more films (she made 27 film appearances in all). Some of her other credits include Christopher Strong (1933), Vanity Fair (1932), A House Divided (1931), Alimony Madness (1933), Dance Hall Hostess (1933), Unfinished Symphony (1934), and The Last Flight (1931). In 1938 she attempted a comeback to the stage in a revival of her earlier success Outward Bound and made her final film Mr. Boggs Steps Out the same year. Her drinking caused problems. Helen Chandler suffered from severe alcoholism. Eventually it forced her to retire completely. In 1938 she entered a sanitarium for a nervous breakdown. In 1940 she was committed to a sanitarium (a bit more frankly) for alcohol and pill dependency  it would not be the last time. Sadly, Helen was never able to gain complete control of her life and things went from bad to worse. In 1950 she was disfigured with second degree burns from a fire in her Hollywood apartment apparently after falling asleep while smoking in bed. Newspapers vividly recounted how her once-lovely face had been badly scarred in the blaze. It ruined any chance of a comeback. In 1954-59 she again returned to the DeWitt State Hospital in yet another attempt to combat her alcoholism, but again she failed to conquer her inner demons. and sadly they remained unclaimed to this very day.